Operating systems uses rings to distinguish between privileges. Rings 0-3. In ARM it takes more instructions to complete tasks. For example to add something you must first Load the register, then add , then store it back. But in x86 you can simply do " inc dword ptr [eax]". The format for memory access is called address index mode. 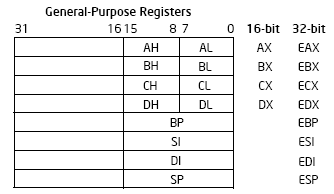 On x64 most parameters are passed through registers not the stack.